On any given day there are more than 28 million items listed for auction at eBay, the world's largest online trading community. Almost $34 billion worth of merchandise, in more than 1.4 billion individual auctions, was traded over eBay during the year 2004; that's $93 million a day, or more than $1,000 every second. At the end of 2004, eBay had more than 135 million registered users - more than double the number of users just two years previous. 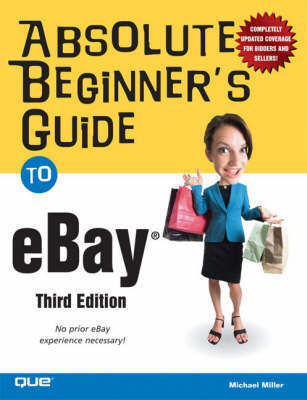 The first two editions of this book were best-sellers, so it's only natural we would update this great book to reflect some of eBay's most recent upgrades such as: eBay Stores, Half.com, and Trading Assistants.